Well hello and welcome to today’s post. It’s time for another challenge over at Get Creative Challenges where its Anything Goes. 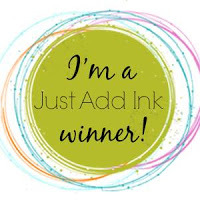 Our sponsors for this challenge are: All Dressed Up, Ikes Art Digital Stamps and Fred, She Said Designs. I have used a digital stamp from All Dressed Up ‘Dad’s Day Off’ which I printed the dog in the hammock and then roughly water coloured him in. I added some twine bows to simulat the rope tying the hammock to the die cut palm trees. He looks like he’s having a very relaxing time. Such a cute card Tristan! I love that little pup swinging in the hammock! this is just so adorable Tristan. This is just way too darn cute!